The challenge to sympathetically renovate an older property yet adhere to modern building regulations can be a challenging one. Many old buildings although architecturally very interesting, can be Grade 1, Grade 11* and Grade 11 listed, which can throw up all sort of aesthetic and build problems. Arkoni have many years of experience been working alongside architects and contractors on new build projects and renovations of old properties. Many problems that can be encountered include having to fit fire or ballistic resistant frames and glass to irregular or uneven walls, the thickness of modern units and keeping the new look in line with the original. Arkoni often work alongside bodies such as Historic England to unsure that the historic nature of the building will be retained and enjoyed by generations to come. These listed buildings can also be open to the public, for example tourist attractions or buildings that house shopping centres and town halls that may be situated in city centres. In these situations, the need to protect the public from fire or ballistic attacks, insulate the property for fuel efficiency, protect the buildings interiors from harmful UV rays and keep the property cool in summer and warm in the winter are some of the considerations while renovating with integrity. Shrewsbury Flaxmill is a perfect example of this type of project. 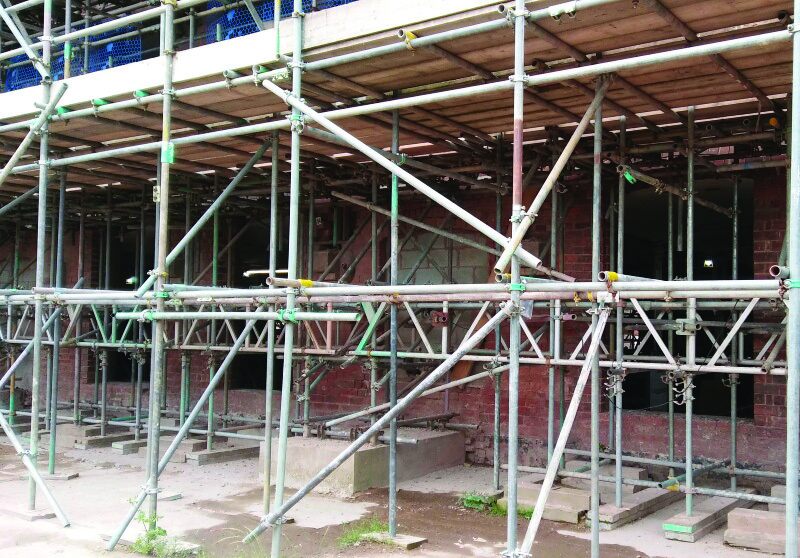 With the status of the world’s first iron-framed building built in 1797, the flaxmill had to be restored with care. Arkoni manufactured 111 windows for the mill that are state-of-the-art thermally broken steel windows. The windows replicate the original style but offer strength security, elegance and insulation ready for the world today. Naturally, the finish of the windows had to be RAL colour matched to mimic the original specification. The glazing fitted was a laminated Sunguard product incorporating the latest warm edge thermal spacer bar, which helps to reflect the sun’s rays keeping areas cool in the summer whilst protecting the building from damaging ultraviolet light. The mill is a perfect example of how new technologies and systems can be combined with traditional buildings and blend seamlessly to create a building fit for the 21st century. Smaller projects are just as interesting to the Arkoni team. We are proud to have worked on many properties both large and small for private clients where modern technologies and building standards need to work alongside each other to retain the historic significance of the building. Country properties, manor houses and much more have all benefited from Arkoni’s expertise.